Have you forgotten the email marketing basics? The chances are, you get too many unwanted emails. They are not “spam” as such, but they are messages from organisations to which you have some kind of connection. Only this morning, I opened up my email and went through 47 emails, deleting every single one of them as unnecessary or unwanted. That was before I looked in the spam folder to see if anything had mistakenly been added to the dozens of messages that ended up there overnight. 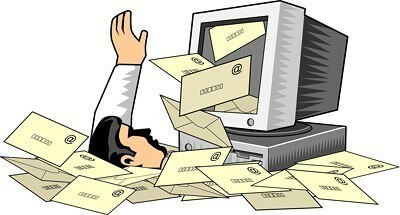 It is likely that your email activity is much the same – hours each week spent deleting unnecessary or unwanted emails. The reason for this is that email marketers don’t even do the basics. New research shows that almost two out of every three emails sent by marketing people are not even personalised. Not only that, most companies do not even collect emails from their customers. That means they are not getting the results they expect. Study after study – and common sense – tells you that personalisation is key. Making your customer feel wanted, even loved by your business is crucial. If you do not even personalise your communication with them, how much care and love are you showing? Many companies think that personalisation is simply saying “Dear Firstname”. However, research shows that you need to do much more than simply using their name. Yet, most email marketers do not even do that. They do not even make us think the material is personalised; it appears that even if something is not personalised, but we think it is, then we like it. The result, of course, is that email marketers do not get the results they want. So, they send out more emails, which we delete. So they send out some more. According to the Yesmail study, one of the requests being made by those in email marketing is more sophistication and integration. This suggests that because results are relatively poor from email marketing, the solutions appears to be to add more features. Yet, if only the email marketing world would do the basics, they probably would not need all those added bells and whistles. It is all a reminder that getting the basics right first is essential. If you do not get your email marketing basics right, how can you expect you get the sophisticated stuff correct? Rather than looking at complex solutions to improve results from email marketing, try to work out if you have the essentials done first. In other words, walk before running…!